Advanced Physicians PC (Forest Hills) - Book Appointment Online! 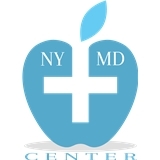 New York Medicine Doctors (NYMD) is a specialty practice in Midtown Manhattan. We are a state of the art office with technologically advanced equipment meant to improved patient care. We accept most insurances and focus on collaborative methods to improve patient treatment and care. I was treated by doctor Ieanne Rodriguez and she was great!